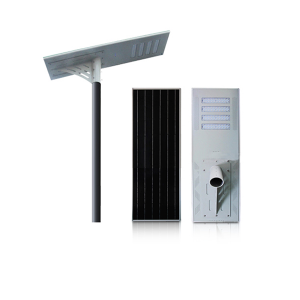 60w best integrated solar light for courtyard customized package logo from trustworthy China factory at competitive price, driven by ultra bright Bridgelux LED chips with 6063 aluminum housing, IP67 certification available, suitable for South Africa, Indonesia, South Sudan and other countries. 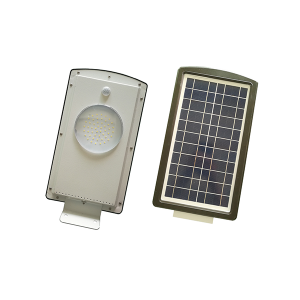 60w best integrated solar light produces an ultrabright light due to its LED lamp that boasts of 12V 60W maximum power with 50,000 hours life expectancy. 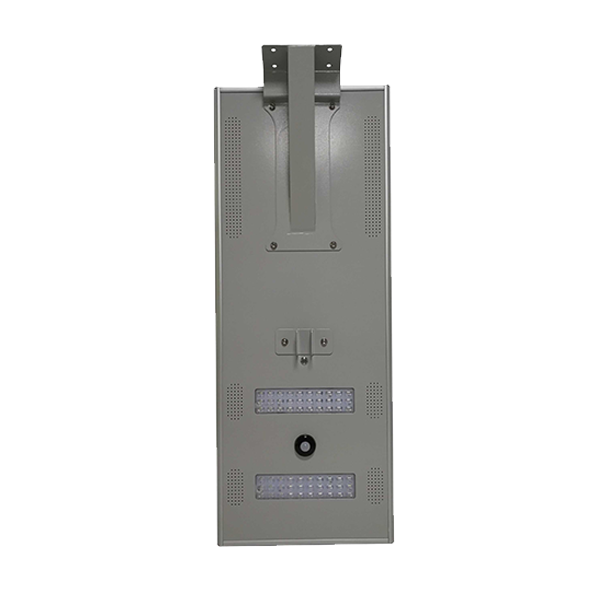 The LED chip is manufactured by Bridge with high brightness. 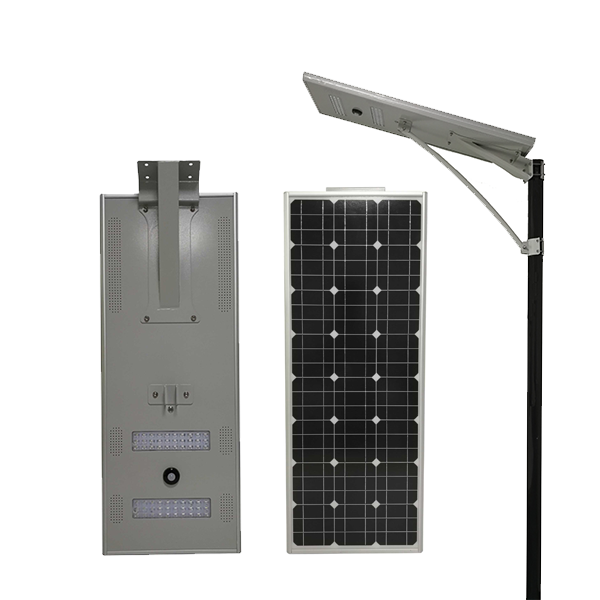 This solar light has a lithium battery with a lifespan of 20 years. 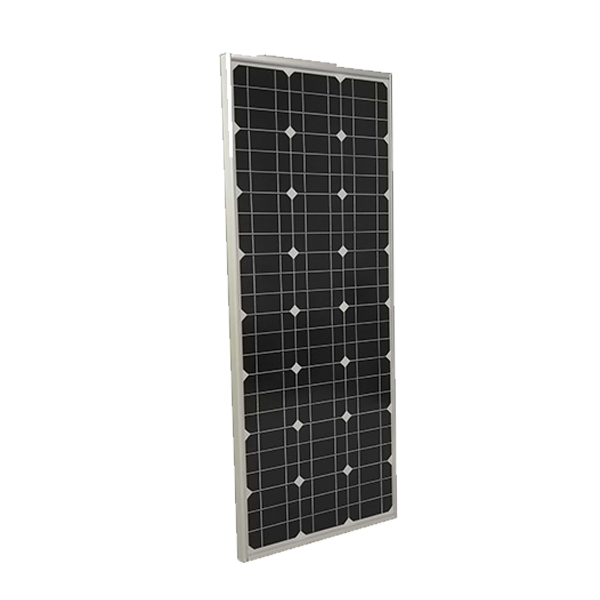 On 10 hours charge time, it can provide lighting for up to 40 hours or more, provided it is used on saving mode. On full power mode, its discharge time is up to 20 hours. 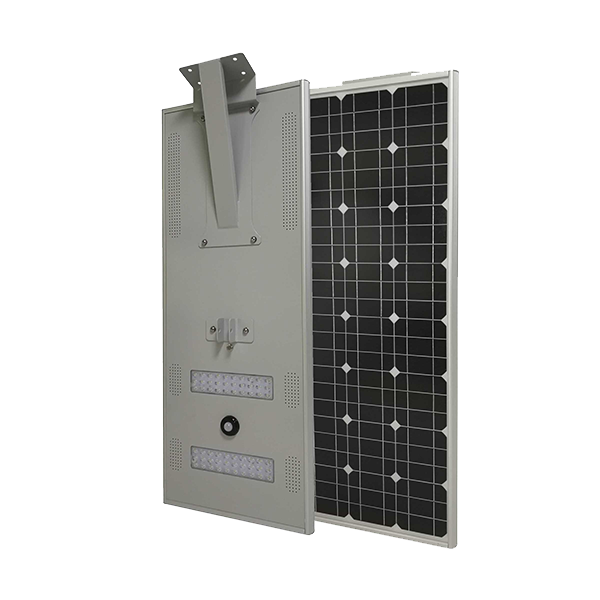 The solar panel of this integrated solar light for outdoor lighting is high-efficiency mono-crystalline silicon with 20 years lifespan. It is a lightweight solar light, weighs only 15kg. Hence, assembling, installing, and maintaining it are easy tasks. In addition to that, it comes in a compact size, which further makes it easy to carry, deploy, and maintain. 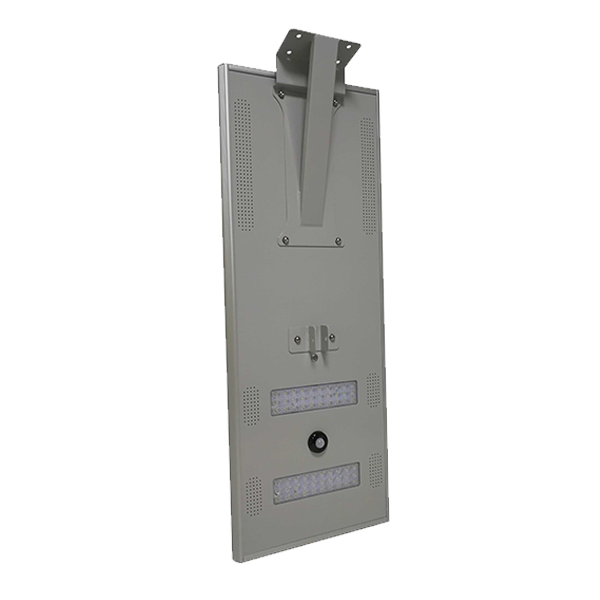 Due to these features, it can be easily installed on a pole, tree or a wall. 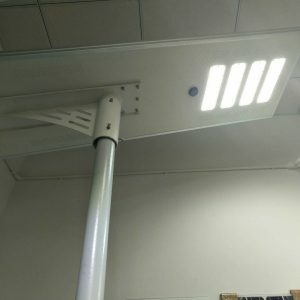 For best results, it should be installed at a height of 7 to 8m. 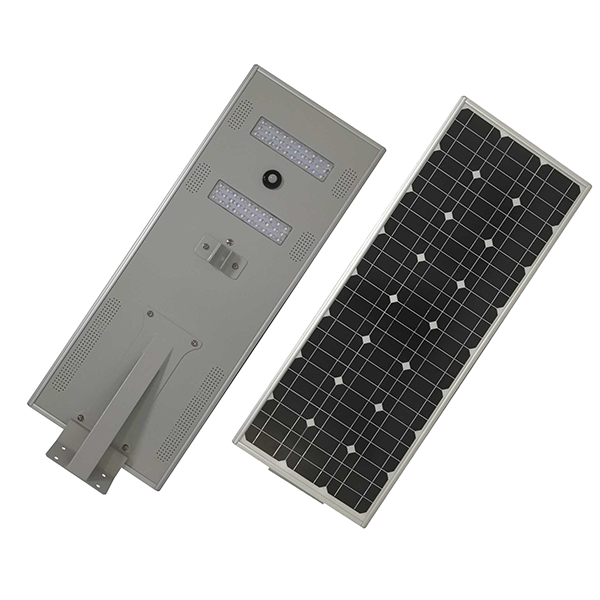 60w Best Integrated Solar Light is an energy-efficient option as it has built-in infrared sensors with motion detection capability. 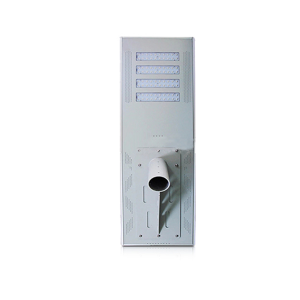 Thus, the light output can be adjusted automatically with the help of sensors. 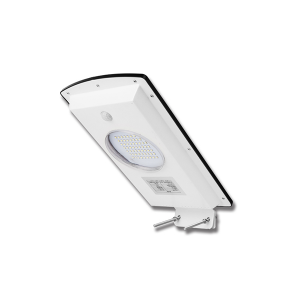 It is a reliable choice because of its sturdy build and IP65 certification. 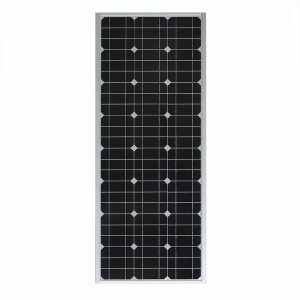 It has strong resistance against corrosion and is dust-free. It has a 3-year warranty period. 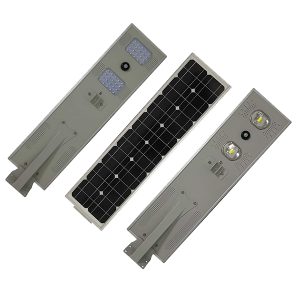 Thus, the buyer can stay assured that it will produce ultrabright light for this duration without any incurring any problem.